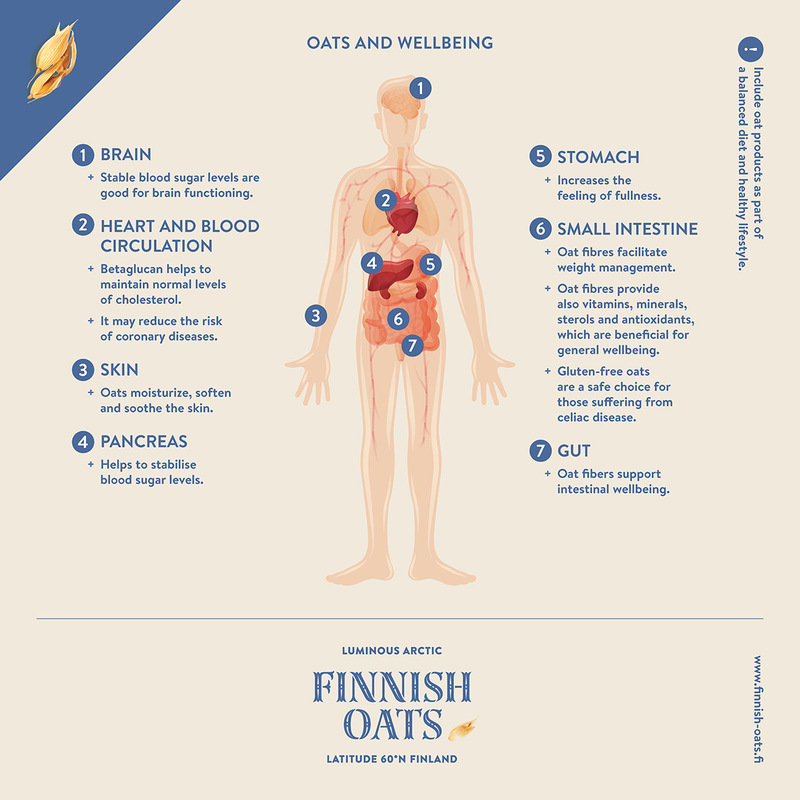 Oats are a Finnish super food at its best. The small golden grain is packed with nutrients that cater to your health and wellbeing in many ways. Oats provide you with energy, slow releasing carbohydrates, fibres, protein and soft fats, as well as a whole host of vitamins, minerals and other beneficial ingredients. Oats contain the fibre, beta-glucan, which has been found to be a health promoting miracle material. The EU has approved health claims for oats that tell about their beneficial properties. Regular intake of beta-glucan promotes the maintenance of normal blood cholesterol levels and helps keep cholesterol levels in check. The health effect is realized when merely 3 grams of beta-glucan is consumed every day. (A health claim approved by the EU). Oats promote a feeling of fullness and will also soothe delicate stomachs.